The course is 5000m (5K) long. The course is in Lullingstone Country Park, Eynsford. The course is run on a mixture of grass and woodland paths . Some sections of the course may accumulate mud, leaves and puddles after rain. Dependent on availability, marshals will be at key sections of the course, or signs will be in place. We hope these tips help to ensure that Lullingstone parkrun is fun and safe for everyone. This is a 2 lap clockwise course starting half way up the grass bank as you look up from the visitor centre towards the woods. Head east towards the copse, taking the left hand grass path that runs up and around the trees, bear right, always keeping the trees to your right hand side. At the top of the slope, the course levels out. Turn left and head towards the woods at the top of the hill, before running along the top of the hill in front of the woods, continue to the end turning right into the woods. Continue down the hill, taking the left hand footpath down in front of the trees, before turning right, keeping the trees on your right hand side. After about 150 metres turn left away from the trees and continue down the hill towards the wooded area, running alongside this (with the trees to your left). When you reach the footpath, turn around, taking the path back up the hill, making sure you bear left at all times. The footpath takes you through the small woods (beware of tree roots underfoot). Continue on the path and bear right out into the clearing to start the second lap. On completion of the second lap, at the clearing head straight across the hill to the finish. Runners should keep to the left hand side of the paths at all times. Toilets are located at the visitor centre and are open from 8am. There is a large car park with a charge of £2.50 for the day. The visitor centre is open from 9.00am, please see the Kent County Council website for details. The run starts half way up the grass bank as you look up from the visitor centre towards the woods. From the main A225, follow the brown signs for Lullingstone Visitor Centre, walk down the hill for 1km, the centre entrance is on your right. 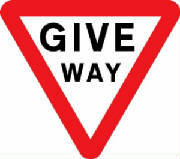 From Jct 3 of the M25: Follow signs for A20 and West Kingsdown. Turn right onto the A225 heading to Sevenoaks. Pass through the village of Eynsford on the A225 towards Sevenoaks , pass Eynsford railway station to your left and continue under the bridge for approx 800mtrs. The Country Park is well signposted to the right, after the entrance to Lullingstone Castle. Turn right onto Castle lane and continue down the hill for 1km, the park entrance is on your right. From Sevenoaks: Follow the A225 towards Eynsford/Farnigham. Pass through Otford continuing on the A225. After 5km pass under the railway bridge and head up the hill passing The Hop Shop entrance on your left. Just as you start heading down the hill take the sharp turning on the left (Castle Lane) for the Visitor Centre. Continue down the hill for 1km, the park entrance is on your right. There is plenty of car parking at the visitor centre £2.50 per day.